“Its okay to not be okay” says the flyer for the Talk Project by Scadding Court Community Centre. This new initiative intends to break through stigma around mental health and create an open dialogue between youth and community. It focuses on youth experience with criminalization of mental health and wrongful convictions, and aims to offer alternatives and resources to change the current narrative. Ontario Election Day is June 7, 2018. This election let’s call for a fair, equitable and inclusive Ontario – an Ontario For All. OCASI has put together a fact sheet on priorities for the immigrant and refugee-serving sector, as well as questions you can pose to candidates. 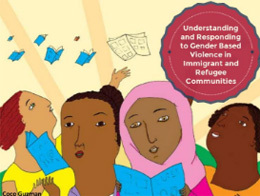 Understanding & Responding to Gender Based Violence in Immigrant and Refugee Communities is a FREE facilitated online training by OCASI from May 23rd- July 4th. The training will help front line practitioners working with immigrant and refugee communities to better understand issues of gender based violence and develop a supportive response for survivors with intersectional identities. OCASI is now accepting applications for financial assistance for In-House Group Training under the Professional Education and Training Program (PET). 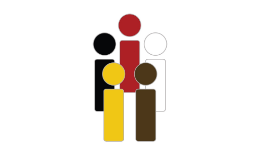 Ontario immigrant and refugee serving organizations funded by Immigration, Refugees and Citizenship Canada (IRCC) and Ontario Ministry of Citizenship and Immigration (MCI) are eligible to apply. For more information contact Beverly Lawrence-Dennis, PET Project Coordinator [email protected] / 416-322-4950 x238. “Do your research to know more about people’s expressions and how they express their loves and their identities” say OCASI Positive Spaces Initiative Coordinators Yara and Sizwe in a new 2 minute video by Xtra. Like and follow Positive Spaces Initiative on Facebook for more great resources, timely information and to network. Register now for this Colour of Poverty - Colour of Change (COP - COC) event in Toronto, a community forum on past wins, present campaigns and future challenges. Tuesday May 22 6:00 pm Keynote and plenary with reception to follow, and Wednesday May 23 9:00 am to 5:00 pm. OCASI is a founding steering committee member of COP-COC. Elections provide meaningful opportunities for public benefit nonprofits to engage communities and capture the attention of political parties and candidates. Read more for the Ontario Nonprofit Network election advocacy toolkit and many other useful resources that nonprofits can use during the 2018 Ontario election. Register for the Canadian Council for Refugees (CCR) International Refugee Rights Conference to be held on 7-9 June 2018 at York University in Toronto. This three-day conference will look at promoting the human rights of refugees and vulnerable migrants, and to strategize across borders to better meet their evolving needs.